recruit, train and support committed volunteers who advocate for abused and neglected children. CASA volunteers are empowered by the courts to offer critical information to ensure that children’s rights and needs are met while in foster care. The advocate’s relationship with the child continues until the child is placed in a loving, permanent home. For many abused children, their CASA volunteer is the only constant adult presence in their lives. Tipton County CASA volunteers advocate for an average of 64 abused or neglected children involved each year in the Tipton County court system. As many of the children are moved into foster care, they are scared, confused, lonely and sad. The adults they trusted most are no longer there. If not for their CASA volunteer, the children would have no voice in what happens to them. The Tipton County CASA program is affiliated with the Indiana State Office of GAL/CASA. It has a waiting list of local children who need a CASA volunteer to help them through a traumatic time. 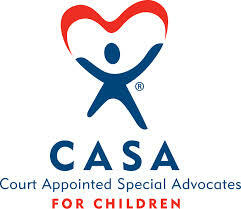 The Tipton County office always needs volunteers to ensure that all the children in the county’s court system have a CASA advocate they know and trust to help them through this confusing period in their lives. Please consider volunteering for this important program. For more information about CASA in Tipton County, please contact Shelley Haymaker, Tipton County CASA Director, (765) 761-CASA (2272), or by email at casa@tiptoncounty.in.gov. The State Office of GAL/CASA is a program of the Indiana Supreme Court, Division of State Court Administration, provides funding, training and support for local programs across Indiana.